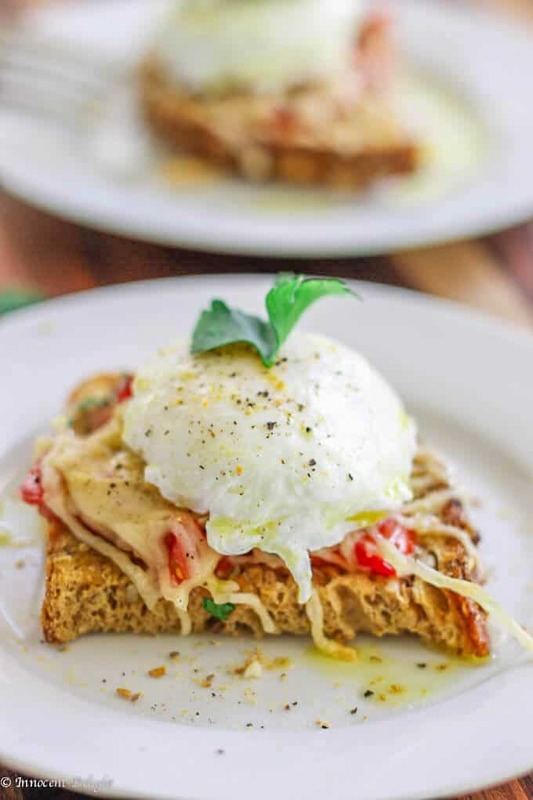 Poached Egg on Parmesan Tomato Toast is a delightful breakfast option. Runny egg yolk infuses with the tomatoes and herbs, and is beautifully balanced by a crusty parmesan topping – making for an irresistibly perfect breakfast bite. After 3 minutes you have a perfectly poached egg. We love all kinds of eggs including poached eggs in my house. I frequently make different variations of Eggs Benedict. My husband refers to these poached eggs as “eggs in the water,” and he often calls it “weird science.” When I ask him on a weekend, what he wants for breakfast, he simply requests, “eggs in the water, please.” Because we love them so much, and have them so often, I’ve become a little creative with these ‘scientific’ eggs in water. 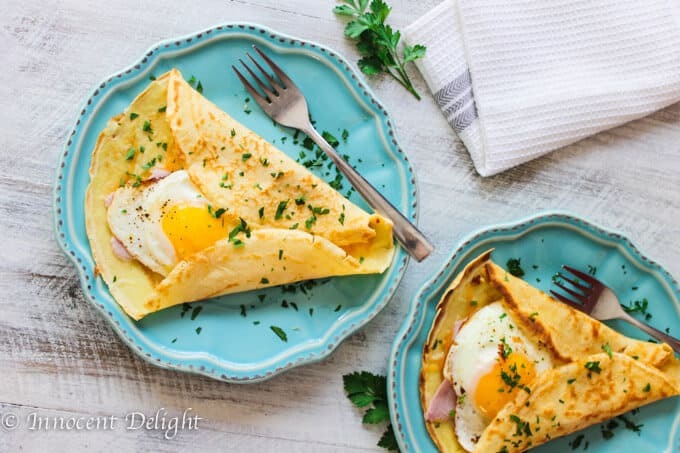 You may find this Smashed Avocado Poached Egg Toast with feta appealing, or you may want to try these Easy Crepes Eggs Benedict. 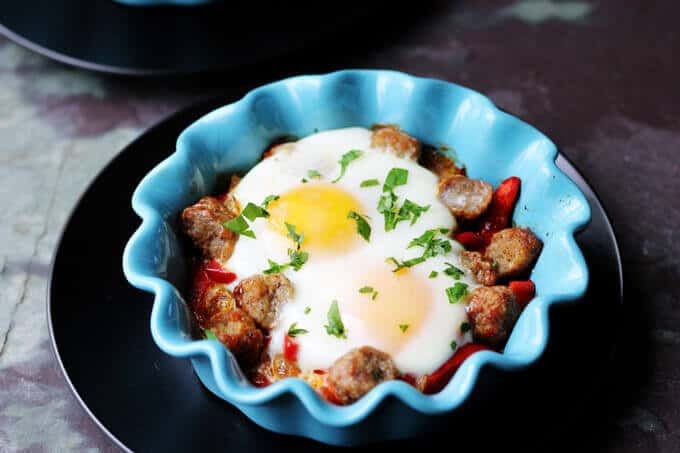 The eggs can also be poached in the sauce like in this recipe for Shakshouka – classic Mediterranean Breakfast. 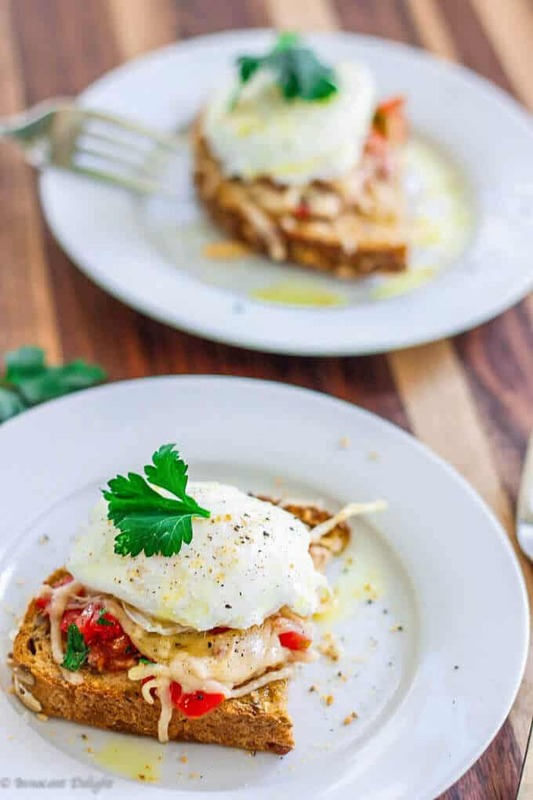 This Poached Egg on Parmesan Tomato Toast came out really good: Tomatoes with herbs, and then balanced by a crispy delicious, almost crusty, parmesan cheese…it’s to die for! And by topping it off with a runny poached egg make it really divine. I then finished it all off with some toasted ground sesame seeds to elevate this simple dish. I usually keep toasted ground sesame seeds on hand. I just put sesame seeds on a non stick pan and toast them until they are a golden brown. Once toasted, I grind them in a coffee grinder and use them as an extra spice for many dishes. 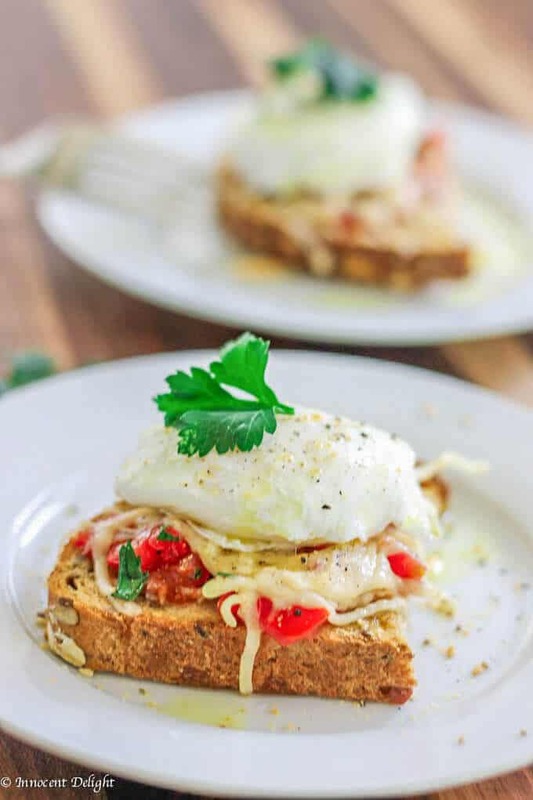 Poached Egg on Parmesan Tomato Toast is a delightful breakfast option. 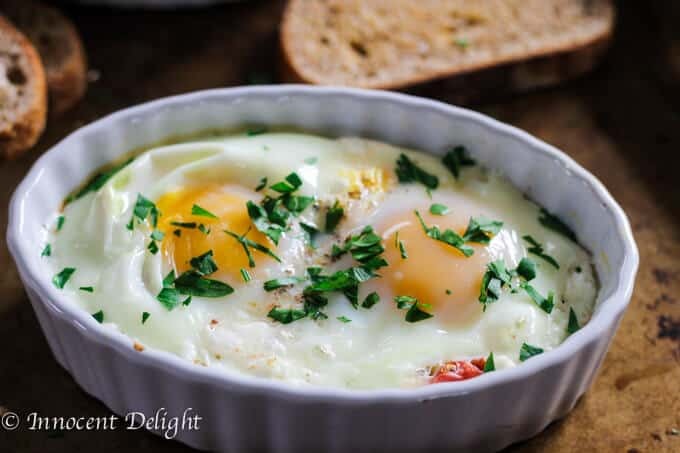 Runny egg yolk infuses with the tomatoes and herbs, and is beautifully balanced by a crusty parmesan topping - making for an irresistibly perfect breakfast bite. Once the toasts are ready, place the poached egg on top, sprinkle with olive oil, salt, pepper and toasted ground sesame seeds and serve immediately. I usually have at home toasted grinned sesame seeds. I just put sesame seeds on a non stick pan and toast until golden brown. 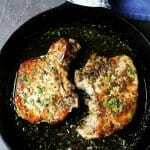 Once toasted I grind them in a coffee grinder and use them as an extra spice for many dishes. It's super delicious. I used calories count as one serving to be one piece of toast with one egg. It is so good that one person may actually eat two of them. This post was originally published on April 24, 2014 and was since then updated to provide additional information. That’s the kind of breakfast I could eat every morning! Seriously. 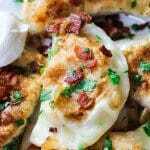 I lean toward savory rather than sweet and your poached eggs are sublime! 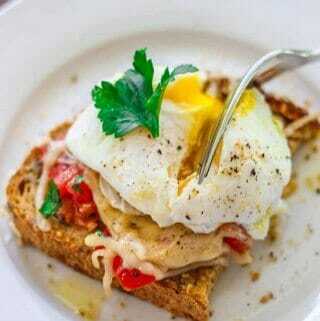 Poached eggs are the best in my opinion! 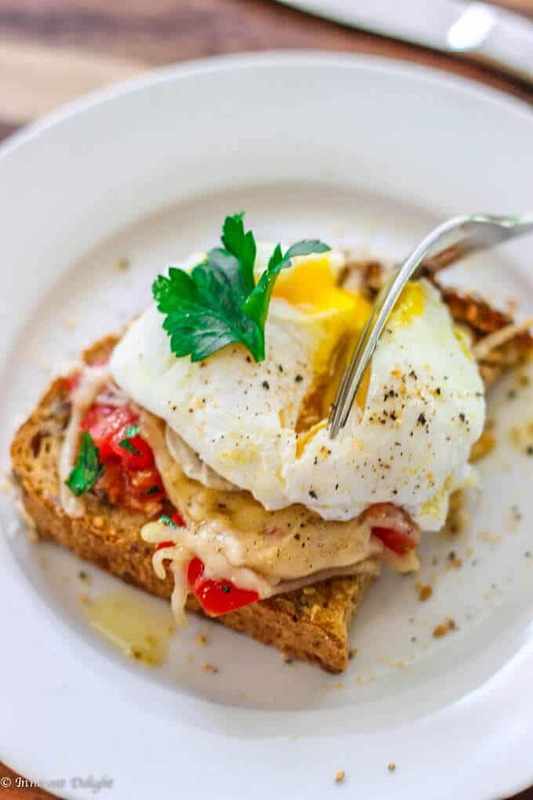 Poached eggs on toast along with parmesan and tomato?! Bliss!! This looks totally fabulous and I need to make it ASAP! 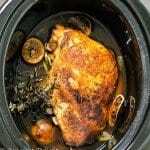 This is such a wonderful dish. 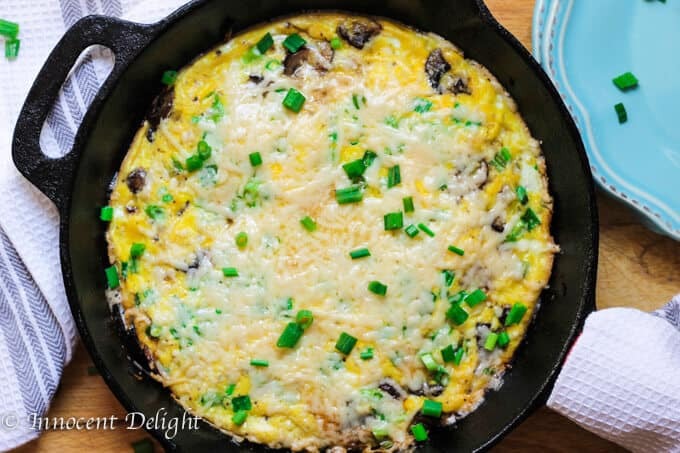 The flavors, bright colors, the textures… I need to make this one over the weekend! Thanks Angela. I hope you’ll like it! What a great breakfast! Definitely looks like the perfect poached egg!